Bought Vibram FiveFingers? Get Some Money Back! Remember that in last August I tried the Vibram FiveFingers and was less than impressed? Now the company has to take back its health statements and give you a refund! When you put on Vibram FiveFingers you not only have to live through the ridicule of the public. More often than not pain as well. But the pain was to be endured. It was only there because we had “atrophied” our feet’s muscles from using over-engineered running shoes. Run barefoot, the argument went, and those muscles will come back. Your feet will be healthier for it. Already in August last year I wrote about my skepticism toward barefoot running in general and Vibrams in particular, but a Florida woman took it much further. I applaud her for it. She said, “dear people at Vibram, hold on a second, do you have any scientific evidence for that?” and filed a complaint against Vibram’s grandiose FiveFingers marketing message. Turns out that Vibram was a bit bare-handed backing up their statements. They agreed to settle with her. (1) strengthen muscles in the feet and lower legs, (2) improve range of motion in the ankles, feet, and toes, (3) stimulate neural function important to balance and agility, (4) eliminate heel lift to align the spine and improve posture, and (5) allow the foot and body to move naturally. At various times, defendants’ website added that wearing FiveFingers would improve proprioception and body awareness, reduce lower back pain and injury, and generally improve foot health. In addition, anyone who bought a pair of Vibram FiveFingers after March 21, 2009 can claim up to $94. Head over to their freshly set up website, which will go live May 14, and file your claim. For up to two pairs you can do it without proof of purchase. It’s just complete horseshit. It’s complete make-believe. Yet we all buy it. When you start looking at the scientific evidence, you realize there is none. Without context, what do you think he is talking about? Barefoot running or regular running shoes? It’s the latter. According to him in the same interview, the burden of proof about being useful lies with the running shoes. Those need science. He and barefoot running apparently don’t; his claims in Born to Run were centered around an obscure Indian tribe that runs with naked feet. 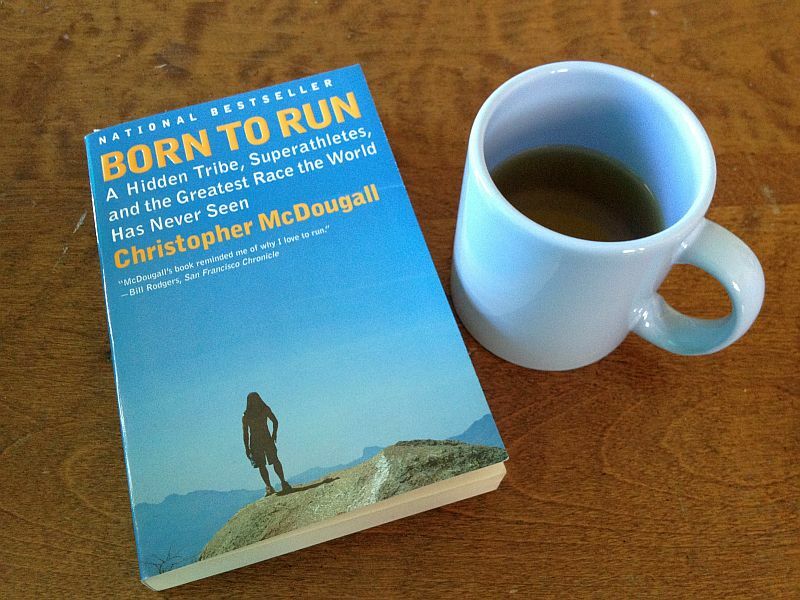 The book that started the barefoot running movement: Christopher McDougall’s Born to Run. And there is scientific evidence against barefoot running, even against Vibrams specifically. A 2013 Utah study had 19 runners switch to Vibram shoes over the course of ten weeks. They ended up with more bone marrow edema (precursors of stress fractures) than the control group using regular shoes (PDF). It was never disclosed if [the plaintiff], who filed her suit roughly one year after purchasing her pair of Vibram Bikilas, tried to first seek a refund for her FiveFingers prior to initiating the lawsuit. Was suing a logical or over-the-top reaction for a product that didn’t perform as advertised? Will the suit help to better police a corporation or does it leave consumers not responsible for applying common sense to a marketing boast that sounded too good to be true? While anecdotal evidence and testimonials proliferate on the Internet and in the media about the possible health benefits of barefoot running, research has not yet adequately shed light on the immediate and long-term effects of this practice. The American Podiatric Medical Association […] encourages the public to consult a podiatrist with a strong background in sports medicine to make an informed decision on all aspects of their running and training programs. I wear my Five fingers for body weight exercises and weight lifting. I find them particularly good for working with the Viper and TRX. I find they grip the floor better than other shoes I have tried. I wear different shoes for all other activities. Needless to say, I am not going to be looking for a refund. From what I gather you can get a refund and keep the shoes. If that is ethical, given you are satisfied with the Vibrams, is of course another matter. Yes, mine too. I was very uncomfortable running with FiveFingers on pavement. I think humans started wearing foot protection for good reasons! I do feel, however, that when on grass, on the beach, or safe back in our comfy caves, that walking around barefoot or in socks is a good idea. That’s true! The feet’s muscles should get some exercise, but I think people like McDougall extrapolated this wisdom a little too far. Our feet weren’t made for pavement. Sorry to read they didn’t help you, but they certainly did it for me! It is NOT indicated to start from 0 to 100 (especially not if you do long and intensive runs and are not used to barefoot running) and expect not to overburden your body. Barefoot moving, walking as much as running, hiking, rockclimbing, whatever way of moving forward on your feet, is great if you let your body get used to it and do it the right way. It’s not the easiest way, neither for your body nor as a way of training, to get fit and prevent injuries, but in the end it will pay off. Many people who do a lot of sports, don’t know a thing about it: I’m often more than surprised how bad people move in the studio or while they go for a run. So my personal conclusion is rather that people need more brains than that they should get themselves a refund for their Fivefingers. Also, I actually hate it when people are not prepared to pay honest money for what they buy. The kind of “keep the stuff and get the refund anyway” advice you give is a very poor and embarrassing one. I actually feel sorry for you and hope it helps if you reconsider your attitude. I said it’s questionable if you should take the money and keep the shoes. Your criticism of the Utah study nonwithstanding, but where’s Vibram’s supposed scientific evidence? They boasted about it, but never produced it. Not having it is, after all, why they settled.